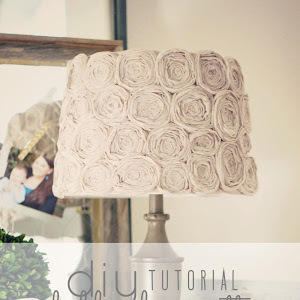 Do you all remember [THIS] beautiful little shabby chic rosette lamp shade from my daughter's nursery? 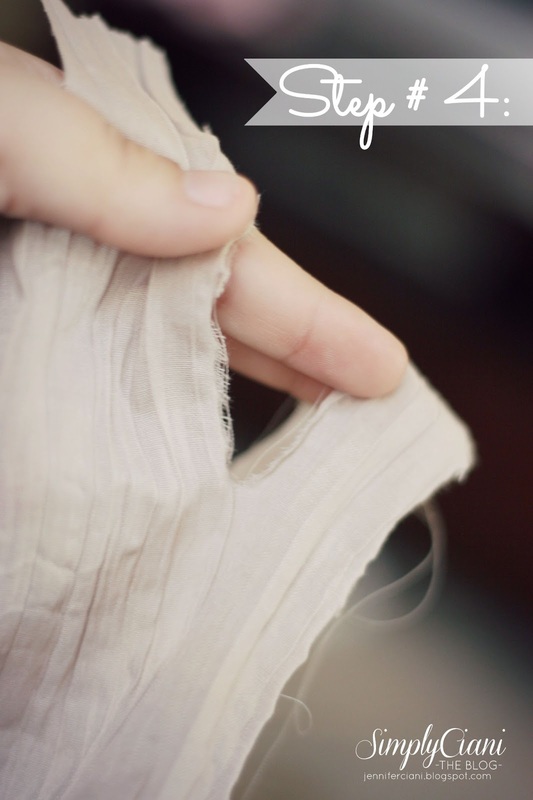 Seperate and start to tear your fabric by holding the larger portion of the fabric with your left hand and ripping the strip with your right hand. 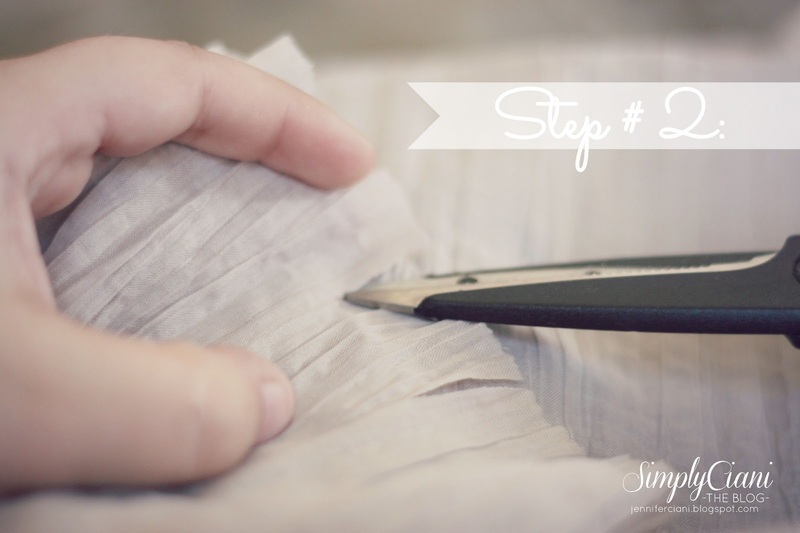 When you cut fabric lengthwise, it naturally tears into a straight line since it is going with the seams/ thread. Take an individual strip of fabric and ball up one end of the fabric by pinching the fabric in between your thumb and index finger, then wrap the strip of fabric around it. You will start to get a small rosette look as you keep pinching the fabric and twisting it around itself (like a cinnamon bun). 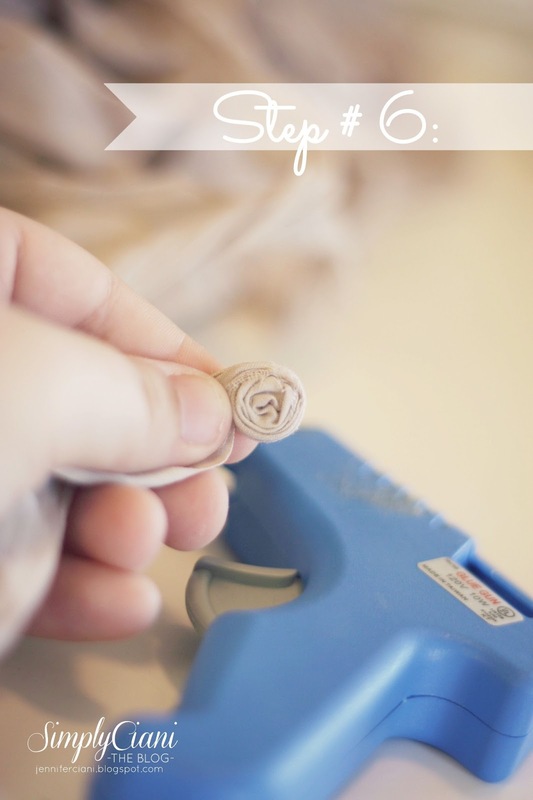 Once you have the start to your rosette, make a small dab of hot glue and place the fabric over it. 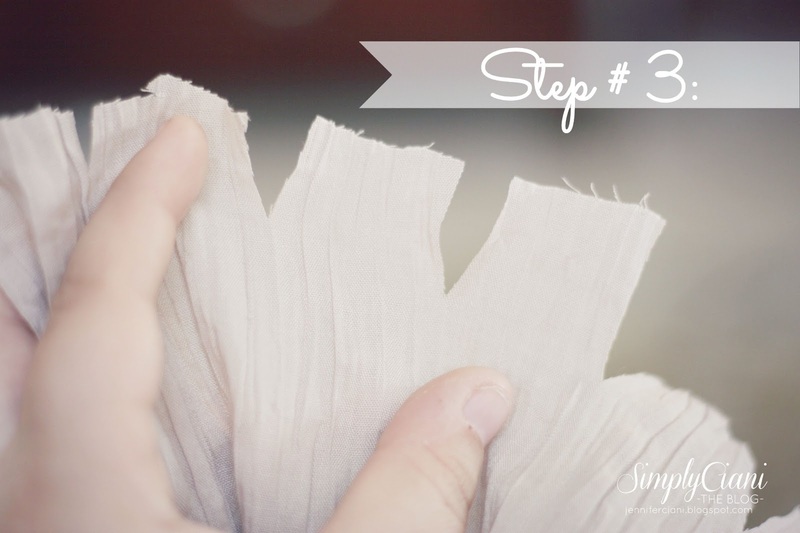 After you have twisted the beginning of your strip of fabric, place it on a table, with your hands on either end of the strip. With your left finger, hold the end of the left side of the strip down. With your right hand, wrap the remainder of the strip of fabric around the center starting point (while keeping it twisted). This should create a cinnamon bun effect. To hold the flower securely together, place dots of glue using a hot glue gun every so often while assembling it together. 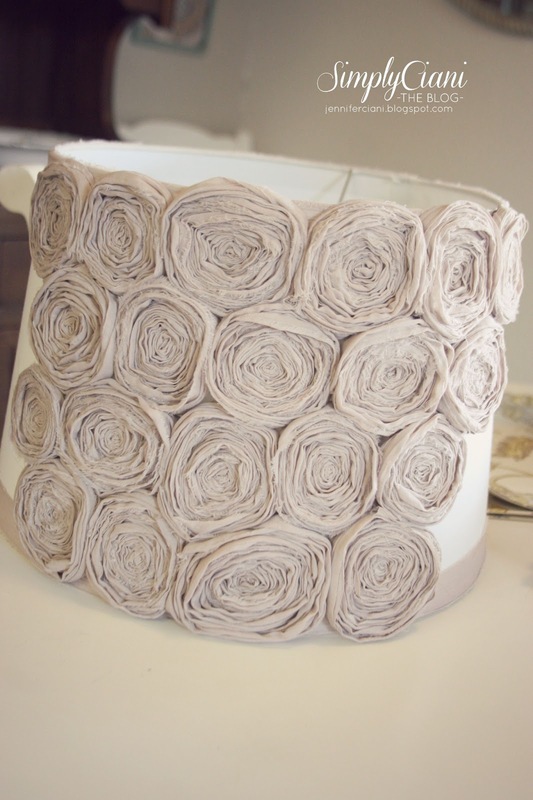 TIP: To create various sizes of roses, take your torn strips and cut them to different lengths. 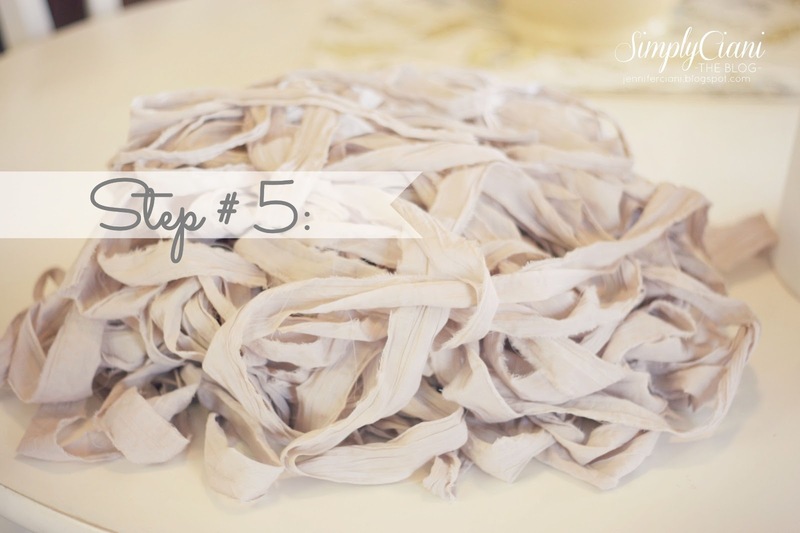 Keep twisting the fabric, you will use the whole length of the fabric strip. 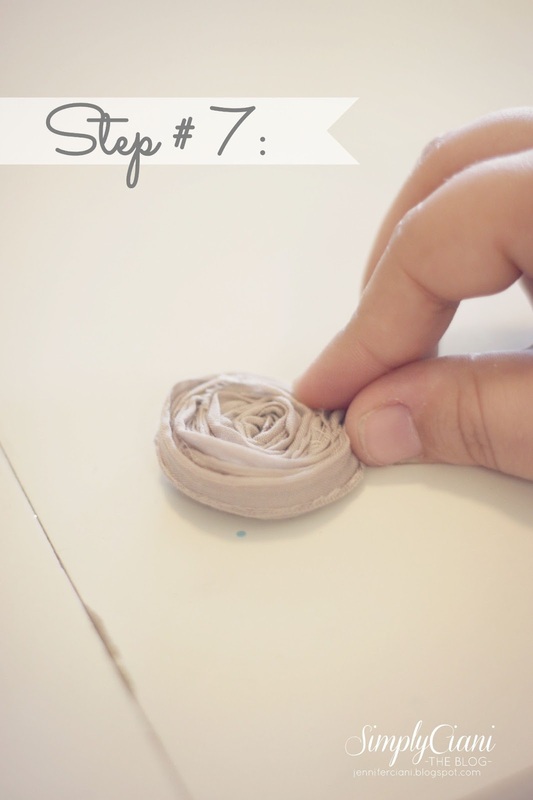 Make A LOT of rosettes! 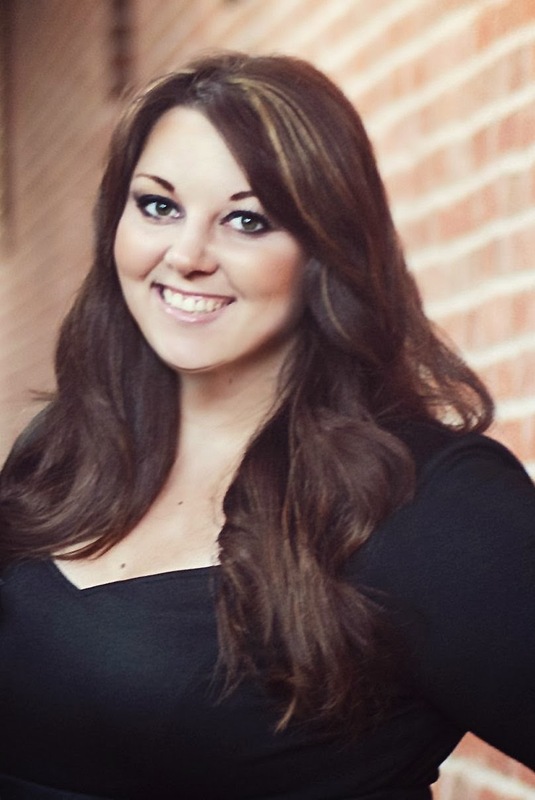 You will end up needing approx 50 to cover a medium size shade, and over 70 to cover a large size shade. Then, start hot gluing them into your shade. Tip: use a lot of hot glue! I am not going to lie, this project is VERY TIME CONSUMING! One lampshade of this size takes approx. 5 straight hours to finish & if you happen to have little ones running all over the house... well, I would prepare yourself to spend a few days on this project! But once it is finished, it is SO worth all of the work that went into it! 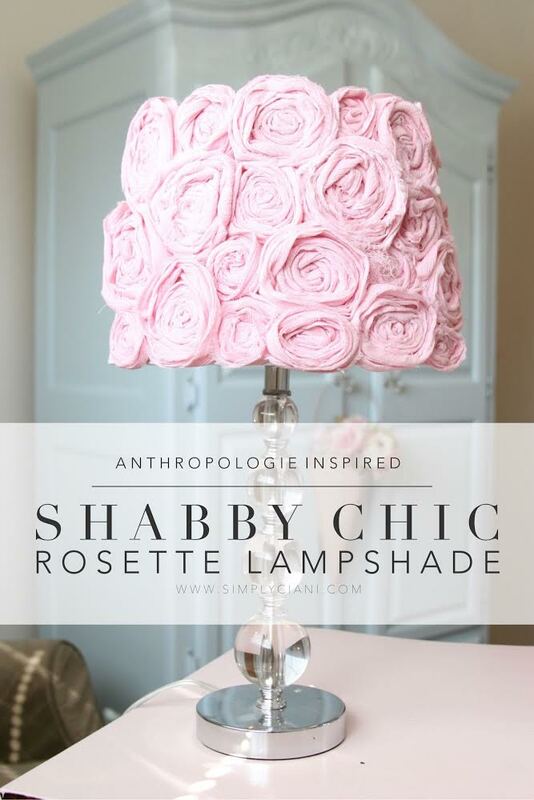 Don't forget to check out the smaller Shabby Chic Rosette Lampshade that I created! 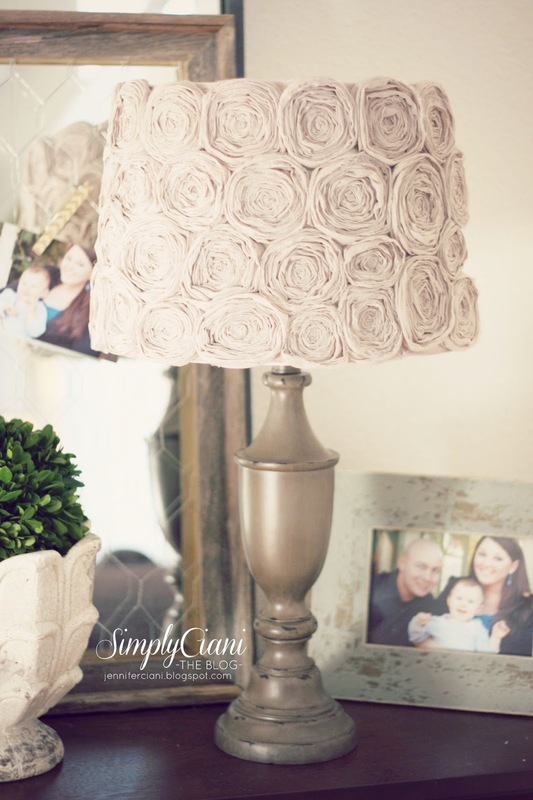 I've loved these lamp shades since I saw the pink one in your daughters nursery post! Great tutorial!! I saw the original post the day before you took it down. I freaked out for a little bit, because even though I remembered the basic steps, I couldn't remember all of it. You have no idea how happy I am to see this with even more in-depth directions! 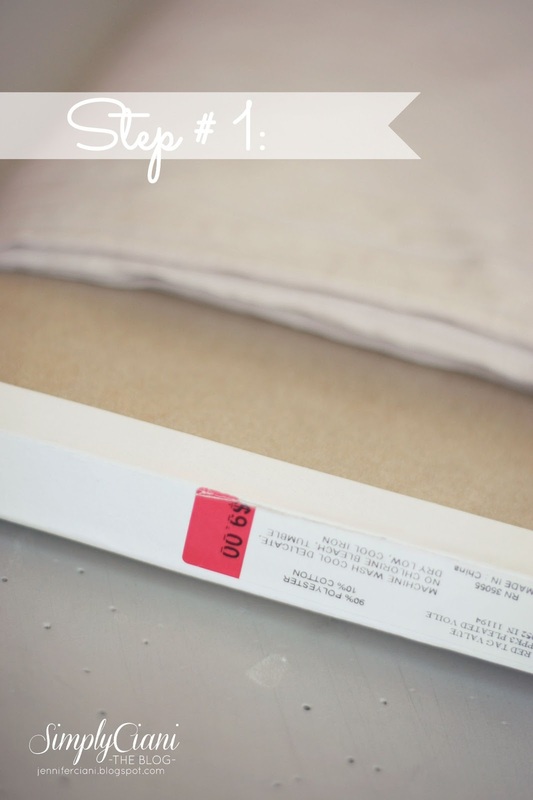 I have some fabric on its way over here, so I can make one for my soon-to-be daughter's nursery! Love it so much—thank you!!! Thank you so much for this wonderful tutorial!!! Can I ask where you purchased your pleaty/gauze-like fabric? I'll be working on this on my next 3-day weekend off of work and I have the perfect lamp base for it. This is so incredibly gorgeous and I'm excited to make one of my own!!! That looks amazing! There's nothing better than a unique lampshade. Now...where will I put this? 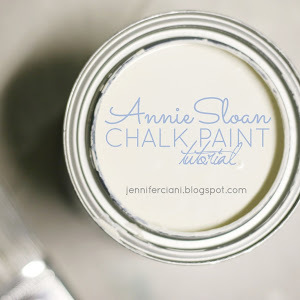 I featured this today at Mod Mix Monday! Love it! Thank you so much, Nita! Wow! This is awesome! I love the idea. Thanks so much for sharing this. Will definitely try soon. 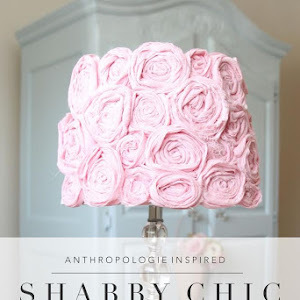 It is very nice collection for home improvement about Shabby Chic fabric.Thanks for shearing this blog. 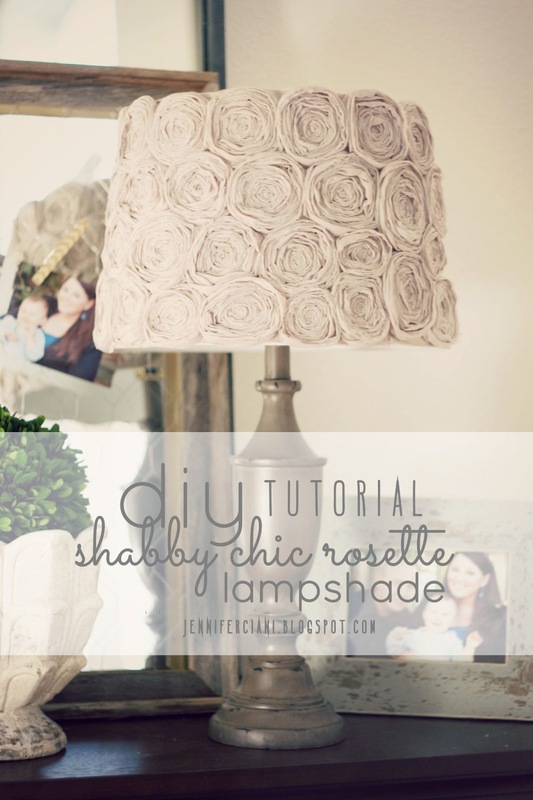 Great tutorial, was looking for something new with a lampshade. that's nice design ideas for home decorations.Shabby Chic fabric is fine. 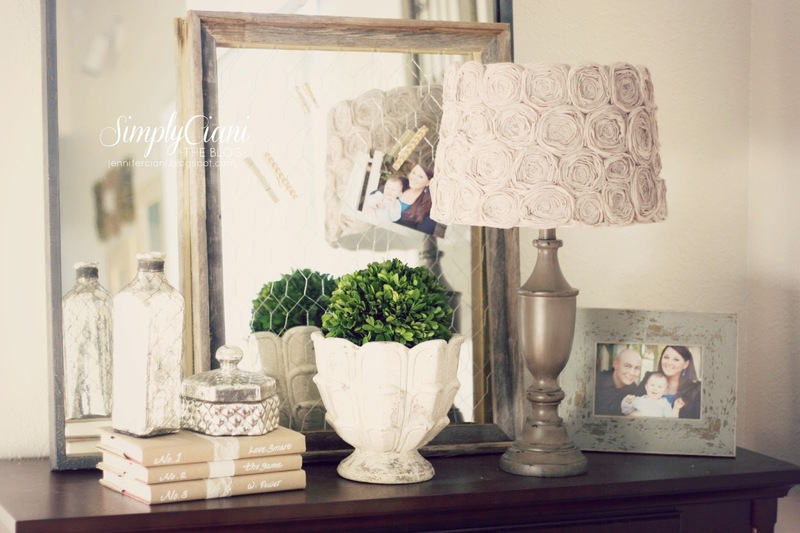 that's nice blog for Home interior Designs.Shabby Chic fabric is so good. 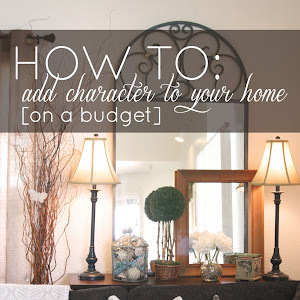 This article is so good for interior decoration.Shabby Chic fabric is so good. Absolutely love this! I've been tearing fabric while watching tv-series two evenings in a row now, and today I started twirling :) You mentioned it was time consuming, but you forgot to mention all the times you'll burn yourself on the glue :P Anyways: thanks for the tutorial, as I said I really love it! LOVE THIS! By any chance do you have an idea of how much this cost you? This is just so pretty! I plan to try making one in ecru muslim to go in the guest bedroom tht has a beach thing going. Can hardly wait to get going on this project! This is pretty and elegant. I am sure The Fabric Exchange has so many choices of fabric for this kind of project. 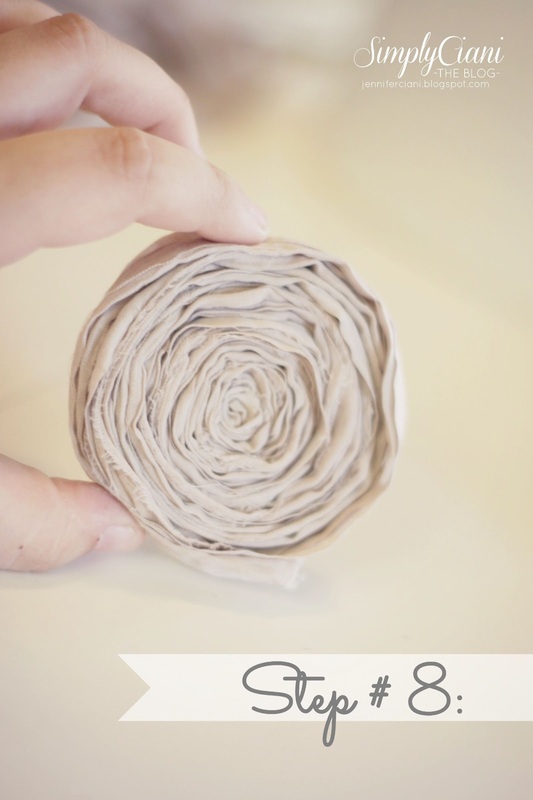 I am wondering if newspaper would work for this technique?